Toyota's sales matched the industry average for growth in September. The real news is that the new Corolla, Tundra, and Highlander are just starting to play a role. Toyota announced its sales results today and they take a bit of explaining. Compared to 2012, this year had two less sales days in September. When that is factored in Toyota sold about 4% more cars this month than last year. That is about what the overall car industry did as a whole. August was very strong for both Toyota and the industry and this may be the month that sales peak. The Corolla is in the first month of its new 2014 model. Toyota reported in a sales overview to the media that a little over half of the 23,000 Corolla’s sold were 2014 models. According to Toyota, that was enough to keep the Corolla at the number one spot among all compact cars. Torque News predicted this prior to shipments of the new model in our recent article. On a daily sales basis the Corolla was up a healthy 10% over last year. Toyota is also thrilled that the new Corolla’s sales were heavily skewed towards the high-content S model of the Corolla with half of the 2014 models being Corolla S models. That means the line was more profitable for Toyota. Also, buyer demographics have shown a slight movement towards more male, and slightly younger buyers. Apparently, the controversial commercial is working. The RAV 4 is now well established and had its best September ever. With nearly 16,600 sold it is up 25.5%. Camry remained the top car selling in America. Sales topped 30,000 units in September for Camry. Combined pickup sales dipped slightly with the combined Tundra - Tacoma selling 20,000 units. 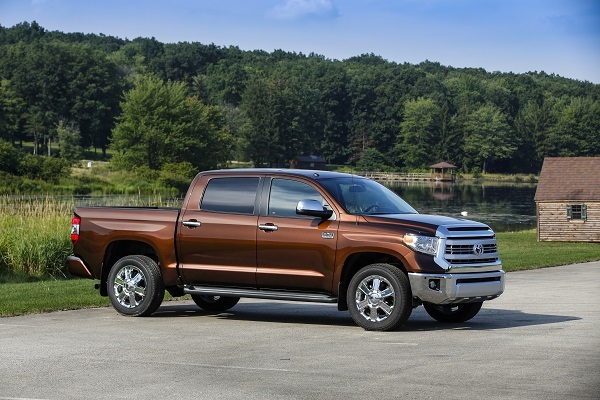 It should be noted that the new 2014 Tundra had just started to ship to dealers in September and preliminary new Tundra data was not available yet. Overall, Toyota is very happy with the sales results of new models. With the new 2014 Corollas just starting to hit dealer lots, the new Highlander coming soon ,and a new Tundra, the company’s core portfolio is fresh heading in to Q4 and 2014.